At NADA Show, our industry-leading education programming is a huge draw for dealers, managers and other auto industry players. 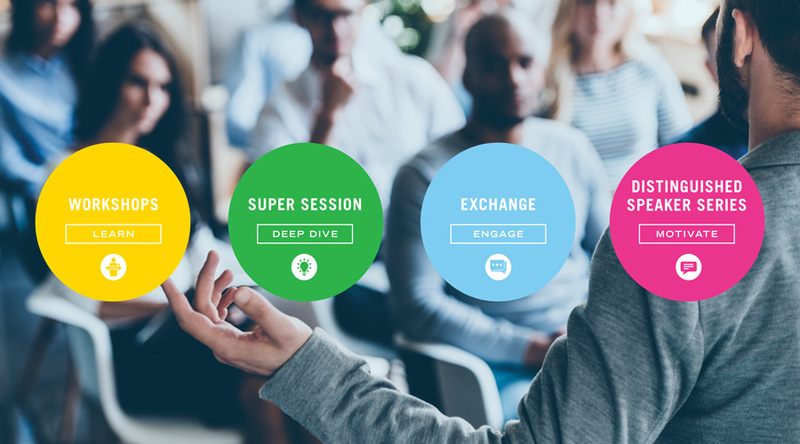 Our sessions are multifaceted, interactive and customizable by your preferred learning style. We heard you! Past NADA Show attendees told us they wanted simplified learning opportunities in easy-to-digest formats. In order to continue to deliver both a fresh perspective and real-world solutions to take back to your dealership, we’ve streamlined education categories and prioritized our workshops by dealership department. WORKSHOPS : Hot industry topics affecting dealerships today, led by experienced workshop speakers. SUPER SESSION : Network-oriented presentations between workshop speakers and attendees. EXCHANGE : Peer-to-peer roundtable discussions based on topics selected by attendees. DISTINGUISHED SPEAKER SERIES : Industry experts dive into leadership, team building and training. 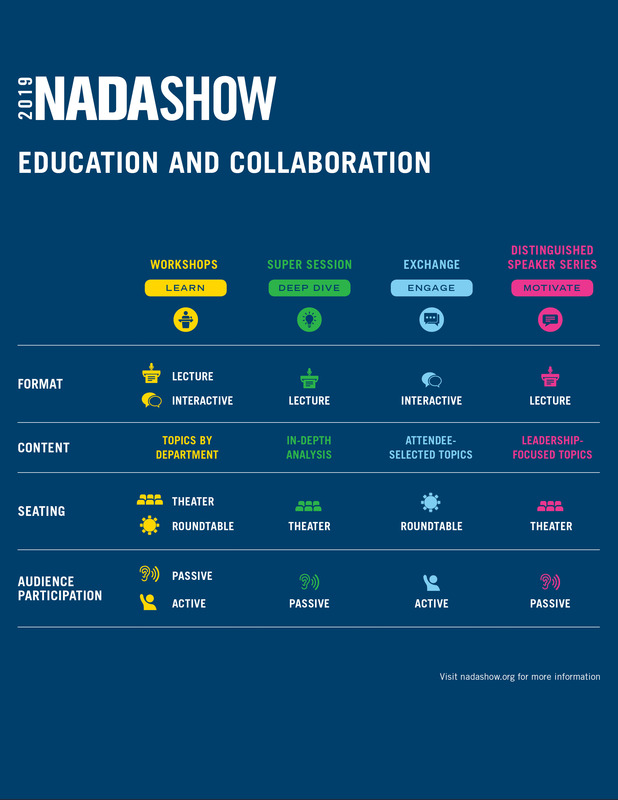 See our handy guide below to compare each type of education session to be offered at NADA Show 2019 and see how NADA will help you customize your learning to get vital information from your peers and industry experts. Managers can especially benefit by choosing sessions that focus on their respective departments. Don’t miss this opportunity to level up your knowledge and your career with key training on the most important aspects and issues for dealerships both now and into the coming years. The full schedule of NADA Show 2019 education sessions is coming soon. Visit nadashow.org to learn more and secure your spot today.